Hi everyone! 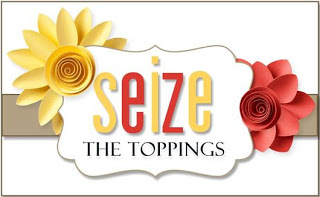 It's time for a new challenge at Seize the Birthday! This time around the "Toppings" options is "One Layer Card". However, you can also chose to do an Anything Goes birthday card, the choice is yours! This is a card that I made last week while on vacation. I had my floral images heat embossed already, and I brought the card front, a paintbrush and a watercolor dot palette along with me. This was an easy and super-portable way to bring a project for some crafting in my down time. After the card stock was dry I added a sentiment, and that was it, a real CAS card. 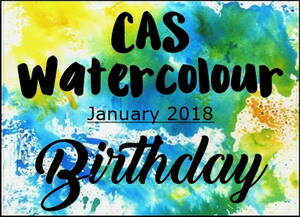 I'm also sharing this card at the CAS Watercolour Challenge, where the theme is Birthday, and at the Simon Says Stamp Wednesday Challenge, where the theme is Add a Sentiment. I'm so glad you paid me a visit today! 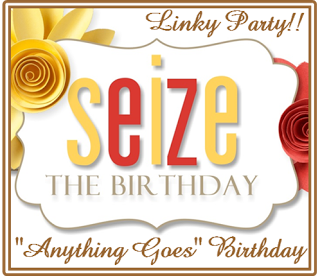 If you have a moment please leave a comment, then visit the rest of the wonderful Design Team at Seize the Birthday. We'd love for you to play along, too! Oh my, this is just beautiful! You have got that watercoloring down to a science! I have heard of those dot palettes....but I don't dare go look at them, my craft room is overflowing now! Your flowers are GORGEOUS! I have this stamp set and haven't seen it used this way, it makes THE most beautiful borders. Great design, Sandy. Thanks for sharing with us at CAS Watercolour! Wow! Its just so pretty, the coloring and the elegant florals are just so wonderful! Love it!! What a beautiful card, Sandy! Your colors and shading are superb! I have a folder with stamped images on watercolor paper and Koi travel pans. With a waterbrush, they slip into my suitcase. Wouldn't travel without them! Thanks so much for sharing this with us at CAS Watercolour! It may be CAS but it is gorgeous. Your watercoloring of those beautiful flowers is fabulous. Beautiful card, Sandy! Love the watercolouring, and the composition of the card. 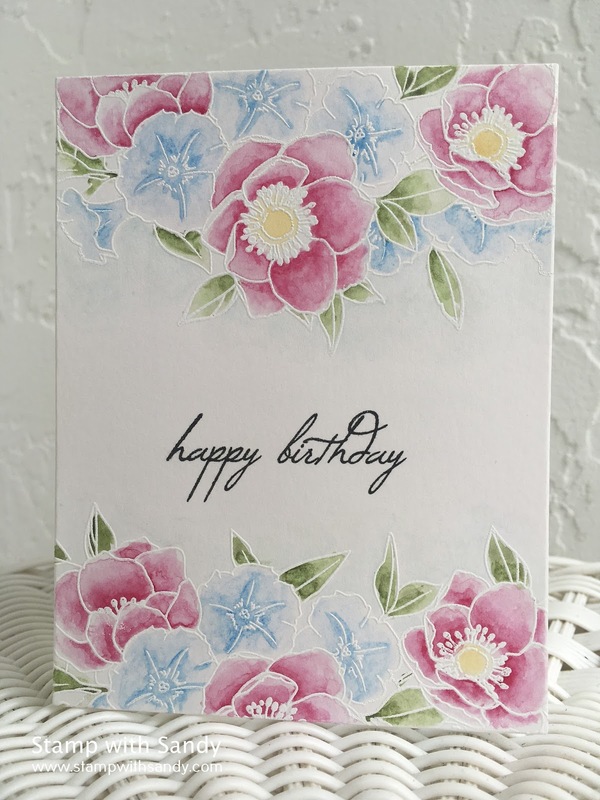 Gorgeous stamped and watercolored floral CAS design for your very special Birthday card. TFS and joining us at CAS Watercolour. Hugs. Beautiful water coloring of the flowers! This card really is stupendous Sandy! Love the layout and the color palette too! Love the script birthday sentiment too. Hope you had a nice vacation!! HUGS! Your water-colouring is absolutely amazing - such a stunning card. Everyone else has said it, but I will add my two cents as well. Outstanding card and done so beautifully. Love the pastel colors and the watercoloring at it's best. You did this on vacation too? Amazing card! Great idea taking some things to colour on vacation. I love this card and your colors of the flowers, I keep looking at this stamp and wanting it, I am not sure what is stopping me, you may have just given me the push to get it into a cart and come home with me! This is such a beautiful card with the white embossing and soft colouring. Great way to travel with paints, too! Last time I did that, it was with a big pencil case of Zig markers, this would be much easier! Sandy.. these florals are amazing! Love the white embossing and pastel colors!